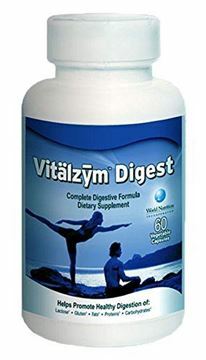 "POWERFUL DIGESTIVE ENZYMES: Vitalzym Digest is a blend of powerful enzymes specifically formulated to assist the body's normal metabolic processes in improving both digestive function and nutrient absorption. 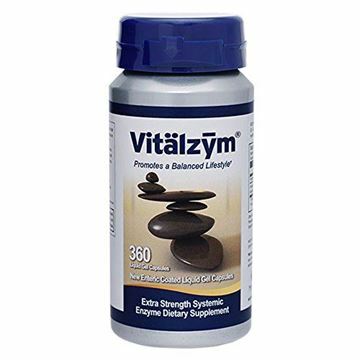 ", 'HIGHEST QUALITY: The digestive enzymes in Vitalzym Digest are a naturally-derived, drug-free alternative to harsh prescription medications, and act as catalysts to boost the breakdown of complex of proteins, fats, and carbohydrates. 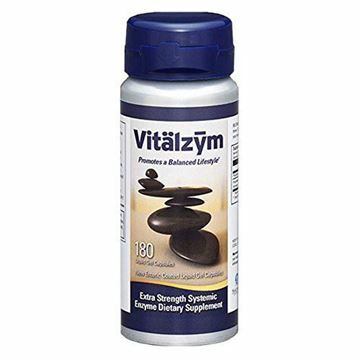 Vitalzym Digest allows for this process and the absorption of nutrients as a healthy source of energy. 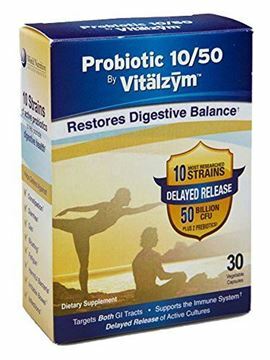 Vitalzym Digest contains no animal derivatives, artificial flavors or colors, yeast, gluten, or talc and is lactose free. ', "WHY WE NEED DIGESTIVE ENZYMES: The body naturally produces sufficient enzymes to maintain optimal health. However, as one ages, the body's production of enzymes decreases which may reduce the efficiency of normal body functions. 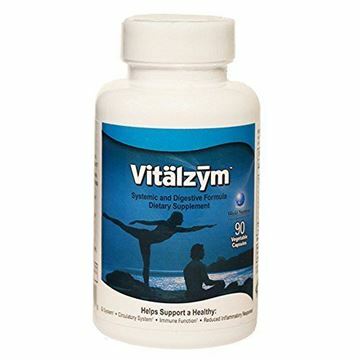 Vitalzym Digest was designed to support the body in optimizing the availability of these core functions."